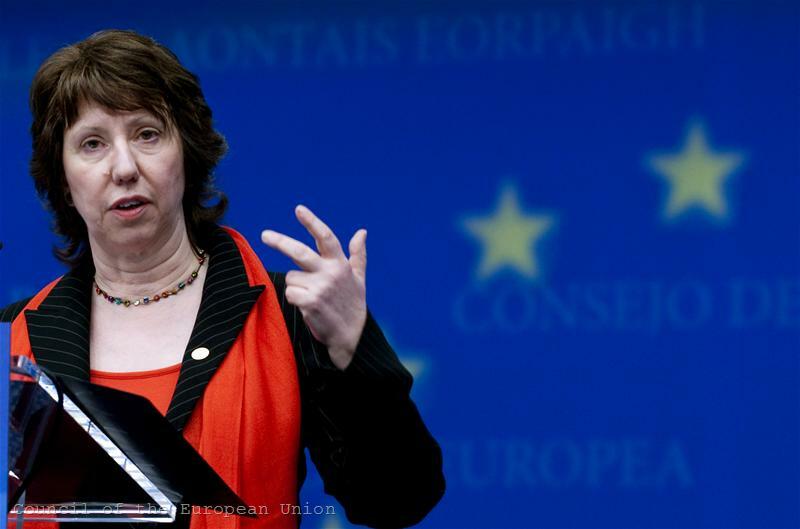 The first European diplomat Catherine Ashton succeeded in proving her critics they were wrong, winning the right to disperse the biggest development budget in the world. According to baronesses' proposal for the new European External Action Service (EEAS), she will get key powers in the management of some instruments in the Development and Neighborhood policies. The EEAS shall in particular have responsibility to prepare the decisions for the Commission on strategic, multi-annual steps in the programming of national and regional indicative programmes and strategic papers. However, the powers of EEAS are limited, as far as they are being directly related to those of the Commissioners, responsible for the Development and for the Neighbourhood policies, and the Commission has the final word reserved for itself. In the draft, approved by the Commission, explicitly states that all proposals related to the European Neighbourhood and Partnership Instrument, shall be prepared under the direct supervision and guidance of the Neighbourhood Policy Commissioner. And those related to the European Development Fund and the Development Cooperation - accordingly - will be supervised by the Commissioner, responsible for Development Policy. 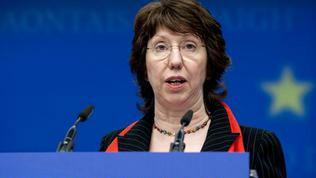 Catherine Ashton herself explained at a special press conference, that her role will be in doing the strategic planning, while the Commissioners Stefan Fuele (responsible for Enlargement and the Neighbourhood Policy) and Andris Piebalgs (responsible for the Development) will have a key role in implementing the instruments. That's why it will be efficient if we make common proposals to the College of the Commissioners, Ashton explained. She added, that the project was discussed on Monday with the foreign ministers of the EU and on Tuesday - with Members of the European Parliament. The day before the summit of EU leaders the Commission had approved the financial regulation and the first part of the rules for recruitment for the future Diplomatic service. According to Ashton's draft, it will be managed by a secretary general, under the authority of the High Representative, and two deputies. The document also notes that “When the EEAS has reached its full capacity, staff from Member States should represent at least one third of all EEAS staff at AD level”. The rest will come from the Commission and The European Council Secretariat. Asked about keeping a geographical balance in recruitment procedures, Ashton said, that this was important to her, but achieving it needed time. The document doesn’t reveal the exact mechanism for such a balance though, as many of the new member states insisted. The recruitment rules and the entire process will be under Ashton's direct control, and she will report to the Council of the EU for filling up vacancies. After a long trench war between the Commission and member states for more influence in the Diplomatic Service, it appears that, in the end, it will be dominated by the European Commission. The British newspaper Guardian cited European officials, saying that more than 90% of the staff would be from the current bureaucracy of the commission. There is discontent among MEPs that the Service would be “in the French style with a secretary-general, as a spider sitting at the centre of the web, controlling everything”, according to Elmar Brok, the influential German Christian Democrat MEP. The creation of the EEAS is sluggish and slow because of the many disagreements between the parties in the process. Firstly, the European Commission doesn't want to give up control over foreign and security policy and its implementation instruments. That is why it was regarded as Ashton's success, that the Commission approved the key role of the new Diplomatic service in strategic allocation of money for development and neighborhood. In the same time the Commission has the final word reserved for itself and as it seems, the jobs of employees who still worked in Ashton's portfolio as well. Secondly, member states have pretenses for more powers for the EEAS and respectively - for their better representation in it. Especially new member states, which insist very much on the so called geographic principle, that would guarantee them more posts in the Service. The third party are MEPs who also want their new and important role assigned to them by the Lisbon Treaty to be emphasized. Although they would be able to approve the heads of EU's diplomatic missions, after all they gained Ashton's promise to have them have "informal exchange of views" with key diplomats. 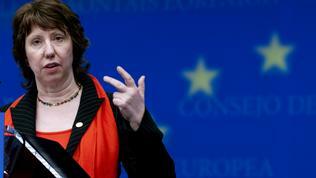 In general, MEPs appear satisfied with Ashton and seem ready to support her. A few hours after the baroness unveiled her blueprint, a cross-party group of MEPs issued a statement calling the proposal unacceptable. "The proposed structure with an omnipotent secretary-general and deputy secretary-generals does not provide the politically legitimized deputies that the High Rep needs in order to do her job properly," the statement says. Lawmakers slammed Ashton's proposal for paying little attention to Parliament in terms of political accountability and also criticised the "artificial separation of part of the development competences between EEAS services and Commission services”. The position of EU leaders is still to be heard, however. The ambition is, if all goes according to the plan, the legal framework for the new Diplomatic service to be ready by the end of April. 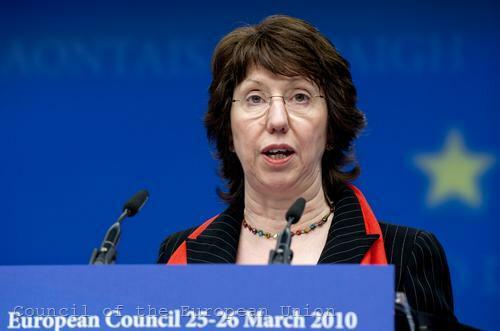 For now we can only say that despite of the difficult start and the controversial assessment of her first 100 days, baroness Ashton took revenge and showed her critics they had reason to fear.